Google will be updating its search console with five new features in the next few months. The company will also drop seven of its key features in the Search Console to make room for some of the new features. According to Google, the updates will be fully implemented by the end of March 2019. To keep you in the loop, here’s a quick run-through of the changes that will take place. In an effort to make the Search Console more responsive when it comes to quick fixes, Google will be refocusing on the issues and patterns that are used for site indexing. Site owners will now be able to find and fix issues faster. With that, reports of Crawl Errors will be removed from Google’s records. This will be for desktop, smartphones, and site-wide errors. The new Sitemaps report will retain most of its functionality but with a few additional functions. Now, users will be able to track URLs by selecting and filtering data in the Index Coverage report. This will make it easier for users to focus on URLs that site owners want to prioritise. In addition to that, Google will focus on incorporating information of images and videos to the new reports over time. Users can also use the URL inspection tool to submit images for re-processing in order to update them in the search results page as soon as possible. Google is decluttering their search console interface by merging the User Management feature into the Settings section. The User Management settings will still have the same functionality but in a different placement. The updated Search Console will help you implement Rich Results for your site. Google stated that in addition to the updates last 2018, it will continue to add reports like Jobs, Recipes, Events, and Q&As to give users more detailed reports. Because of Google’s goal to help users focus on critical issues, other Structured Data types that are not supported with Rich Results features will not be included in Search Console. Old Crawl Errors Report – Since the crawl errors will be included in the Index Coverage Report, the old report will be removed. Crawl Errors API – The Crawl Errors API was based on the same internal systems as the old Crawl Errors Report. Google will discontinue this feature and as of now, there is no replacement for the said feature. HTML suggestions – Search Console will no longer show information about short and duplicated titles as Google’s algorithm continues to improve in showing titles over the years. Property Sets – Google will replace this feature with a new option of managing a Search Console account over an entire domain. Android apps – This feature will be migrated in the Firebase like most relevant functions in the Search Console. Blocked Resources – This section will be removed from the standalone section, as blocked resources can now be found in the URL inspection tool. Structured Data Reporting – Structured Data types that are not supported with the Rich Result features will no longer be reported in the Search Console. 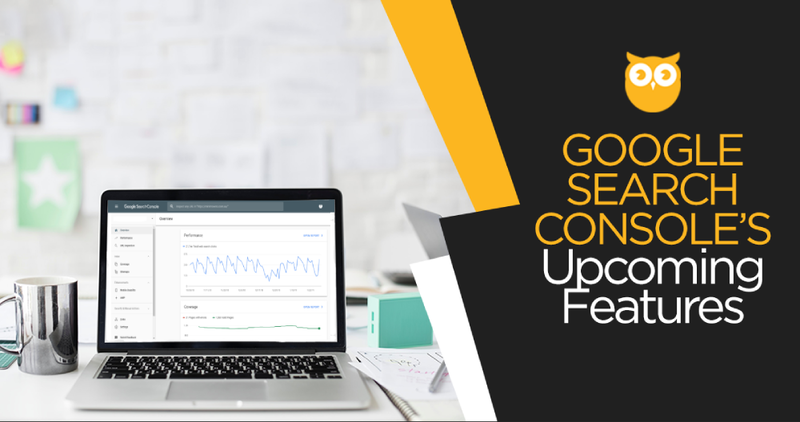 “This new Google Search Console Update gives a wider range of capabilities to focus on the critical issues of a website. This will also make it easier for us to prioritise which issues Google see that may have an impact on the website’s performance and take necessary action for fixes. We may continue to see updates in the future as they continuously enhance features for end user’s requirements and merge functions from the old Search Console version.